The fascinating story of a young boy, Josh Shannon, who witnesses the brutal slaughter of his parents and town folk. Standing over his familys graves he swears a pact of unrepentant revenge. 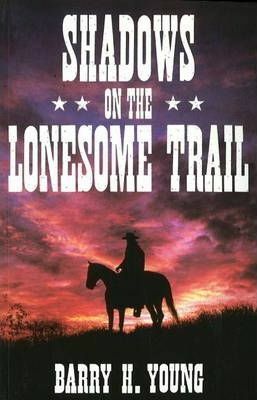 Having honed his skills in gunplay, he sets out on an epic Journey, becoming a predator, a skilled tracker, a feared gunman, a killer and a wanted outlaw, his terrible vengeance carving a bloodstained trail of tragedy, hate and fear. Then, the roles reverse, he becomes the prey, hunted by the law and a vicious killer knifeman. A saviour to a young brave, Shannon is made welcome by the braves Sioux tribe, learning their ways and sharing the despair of their decimation, his passionate union with a beautiful maiden marked by tragedy. Background: Behind September 11; Where Was Osama Bin Laden on 9/11? ; Who is Osama Bin Laden? ; Washington Supports International Terrorism; Cover Up or Complicity? ; War & Globalisation; War & the Hidden Agenda; The Trans-Afghan Pipeline; America's War Machine; The American Empire; Disarming the New World Order; Political Deception: The Missing Link Behind 9/11; Doctoring Official Transcripts; The Disinformation Campaign; War Propaganda: Fabricating an Outside Enemy; 9/11 and the Iran-Contra Scandal; Providing a Face to the Enemy: Who is Abu Musab AI-Zarqawi? ; Protecting Al Qaeda Fighters in the War Theatre; The Deportation of Civilians to the Guantanamo Concentration Camp; The New World Order; War Criminals in High Office; The Spoils of War: Afghanistan's Multibillion-Dollar Heroin Trade; Foreknowledge of 9/11; On the Morning of 9/11: What Happened on the Planes? ; America's Pre-emptive War Doctrine; The Post 9/11 Terror Alerts; Big Brother: Towards the Homeland Security State; The London 7/7 Bomb Attacks; Index. Award-winiing author Barry H.Young is a true storyteller. Since his youth he has researched the early years of American western folklore - the stories of the Northern American Indian tribes, The Civil War and the code of the west.